That headline will have some scratching their heads while others would be saying to themselves “I’m not surprised” whilst others will be screaming for his head to be delivered on a silver platter. And, of course, there will be those that will believe to a certain degree, that Chief Justice Roberts has finally seen the light. I would say that everyone should stop, calm down and check out what the Chief Justice of the United States Supreme Court has just done. “A divided Supreme Court stopped Louisiana from enforcing new regulations on abortion clinics in a test of the conservative court’s views on abortion rights. The justices said by a 5-4 vote late Thursday that they will not allow the state to put into effect a law that requires abortion providers to have admitting privileges at nearby hospitals. 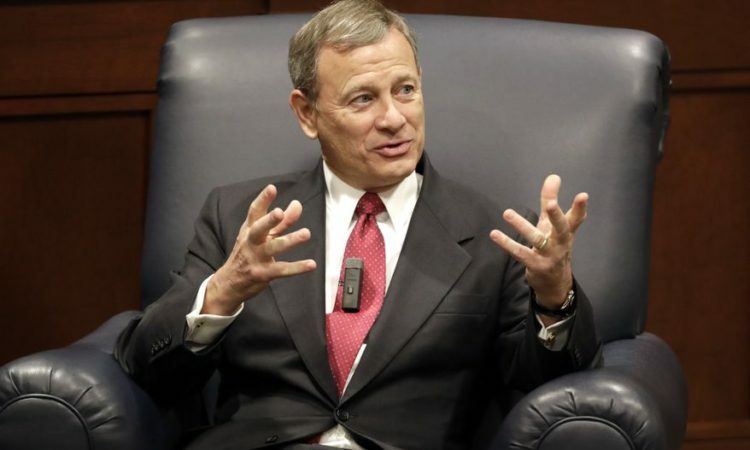 Justice Roberts did not vote to end the law in Louisiana. He simply voted to put the law on hold while the Court reviews the case. Lets face it, if the Court were to overturn this state’s new law it would mean a lot of money and time in getting affiliations and then breaking those affiliations that are no longer needed or financially viable. But you will have to wonder, in an age where Democrats are passing laws that allow abortions to be performed by folks who are not medical professionals, if such a law where you have to be affiliated with medical professionals and facilities has a chance of standing. Justice Roberts, hopefully, will be allowing this case to go forward so he can help make sure that this law and those like it will be able to stand and thus save thousands of babies and even hundreds of lives of unsuspecting mothers.